Is the prospect of Brexit affecting the outlook for financial services jobs in the UK? Is Brexit affecting the outlook for financial services jobs in the UK? In our last blog we looked at the general picture for financial services jobs in the UK as we progress through 2018. An extremely important influencer which continues to overshadow all aspects of the financial services industry in the UK is the current Brexit negotiations. How is this looming situation affecting the outlook for UK financial services jobs? Brexit is fast approaching with a deadline of 29 March of next year, and as the central financial services hub of Europe – the City of London remains on tenterhooks – waiting for the final decision on what arrangement will be put in place between the UK and the EU. The Financial Services industry and consequently financial services jobs are extremely important to the health of the UK economy as a whole. According to government statistics for 2017, the financial services sector contributed £119 billion to the UK economy. This meant 1.1 million financial services jobs in the UK which was 3.2% of the whole labour market. 44% of financial services exports were to the EU and 39% of financial services imports came from the EU. In October 2017, the BBC reported that the Bank of England believed that up to 75,000 UK financial services jobs could be lost as a result of Brexit. Their caveat was that this might change if a specific deal for financial services was agreed, but this has yet to happen – in fact a general deal on our post Brexit relationship with the EU has yet to be agreed, and the prospects of no deal at all have recently been cited as being a definite possibility. Despite this, a lack of job losses to date has led some analysts to reflect that the fear of jobs being moved to the continent may have been exaggerated – or at least there is not yet any evidence of a mass exodus from the City of London. To date a number of the larger players have tentatively moved some of their operations to alternative European hubs such as Paris, Dublin or Frankfurt, but there has not been a mass migration. Reuters carried out a survey in September 2017 which at that time indicated that 10,000 financial services positions might move to the continent in the run-up to the Brexit deadline. A follow-up in March of this year showed that this expectation had dropped to just 5000, based on more recent feedback from recipients. 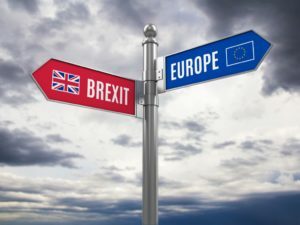 A contributory factor to lack of movement could well be that there is now a general agreement in principle (although no actual deal has been struck) for there to be a two year a transition period to begin after Brexit happens in March next year. So far the impact of the forthcoming Brexit on financial services jobs has been less serious than was first anticipated when the UK voted to leave. This is basically because businesses aren’t sure exactly what is going to happen – so most are putting contingencies in place but not (yet) considering moving large sections of their operations overseas. People with the right expertise are always in demand so if you are an experienced professional with good experience – then there are opportunities out there. As we reported in last month’s blog, if it is practical for your life – then it is sensible to remain flexible about the location where you wish to work. At Matchpoint Recruitment, we offer opportunities throughout Europe and all professionals, and particularly those working in the Commodities sector, are still experiencing a choice of fantastic opportunities. We will continue to monitor the situation on behalf of our clients and candidates, and provide updates as more information becomes available. Get in touch with us or register your CV today.